Chronic pain can disrupt the quality of life and become debilitating. A third of patients who experience chronic pain (31%) will experience higher levels of psychological distress, one in five (20%) will suffer from depression and the probability of early retirement because of pain-related disability increases by 40%. Osteopath, Dr Michelle Funder says, “Chronic pain can affect people of all ages, races and genders and one in five GP consultations involves a patient suffering with chronic pain. Dr Bill Adamson is the President of Osteopathy Australia and a registered Osteopath. Dr Michelle Funder is a registered Osteopath. 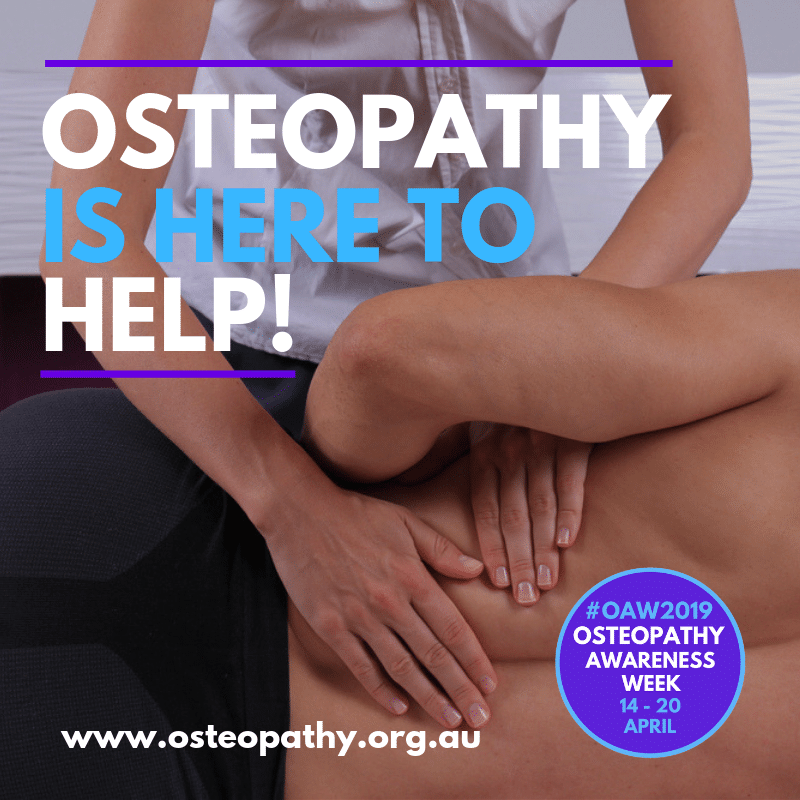 Osteopathy Australia is the peak body representing the interests of osteopaths, osteopathy as a profession and consumer’s right to access osteopathic services Osteopathy Australia represents osteopaths in every state and territory across Australia. We are a member of Allied Health Professions Australia and the Osteopathic International Alliance. Their core work is liaising with state and federal government, all other statutory bodies regarding professional, educational, legislative and regulatory issues as well as private enterprise. As such they have close working relationships with the Osteopathy Board of Australia (the national registration board), the Australasian Osteopathic Accreditation Council (the university accreditor and assessor of overseas Osteopaths) and other professional health bodies through our collaborative work with Allied Health Professions Australia. Their role is also to increase awareness of osteopathy and what osteopaths do. Osteopathy Australia has developed a strategic plan to steer its direction over the next few years. The plan is strongly focused on providing opportunities for members through professional excellence and career success. Osteopaths are allied health professionals who offer patient-centred approaches to healthcare and functional improvement, which recognise the important link between the structure of the body and the way it functions. Osteopaths focus on how the skeleton, joints, muscles, nerves, circulation, connective tissue and internal organs function as and holistic unit. Osteopaths use a range of approaches to enhance function, including manual therapy (mobilisation, stretching, massage and manipulation for ligaments and joints), exercise therapy and programming, equipment prescription, lifestyle advice and patient education. They determine the mix and frequency of treatment and management approaches using skilled clinical evaluation and diagnostic approaches. In Australia, osteopaths are government registered practitioners who complete minimum four years accredited university training in anatomy, physiology, pathology, general healthcare diagnosis and osteopathic techniques. Osteopaths are primary healthcare practitioners, trained to recognise conditions that require medical referral. They are also trained to perform standard examinations of the musculoskeletal, cardiovascular, respiratory and nervous systems. Approximately, 300,000 Australians visit an osteopath each month. Osteopathy is covered by most private health funds and by Medicare’s Chronic Disease Management (CDM). Osteopaths are registered providers for DVA patients, as well as by State/Territory workers’ compensation schemes and motor accident insurers.